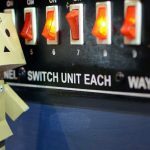 You can install WordPress using Softaculous easily, but sometimes you may need or want to install WordPress Manually too. In this post we are going to look at both methods. Scroll down, find and click Softaculous. Find WordPress in the left side list or just search it. Navigate to WordPress then click Install. Choose http:// or https:// and location for installation. Enter site name, description, admin username, password and email. Select your desired language and click install. Download latest version of WordPress. Upload it using FTP to the location you want to install it. You can read our post about how to upload files via FTP. Create a MySQL database from cPanel. Read our post to learn how to create MySQL database. Now go to to the URL where you uploaded WordPress. Select language and click Continue. You will see installation instructions. Click on Let's go!. Enter database name, database username, database password, database host (mostly “localhost”) and table prefix. In the next step enter you site title, username, password, email and tick or untick search engine visibility as you need. You will see a success message showing your username. You can now click on Log in button and login to your WordPress admin panel. 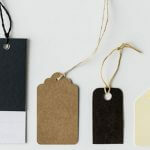 Sometimes you may want to limit the tags in WordPress tag cloud widget because your site have lots of tags. To limit the tags you only need to add the following function to your function.php file. 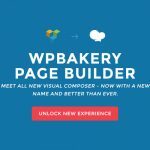 In this post we are going to look at WPBakery Page Builder (Formerly Visual Composer) vc_map examples. You can also check WPBakery Page Builder documentation but it lacks few things.